Several months ago I co-wrote a piece titled Cisco Discovery Protocol (CDP) Tag Team. The article talks about CDP, walks through some working examples, and provides a view of what information the protocol advertises. 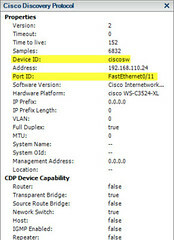 CDP is a great tool but it’s proprietary to Cisco network gear. In the past, if you were using non-Cisco switches, you couldn’t leverage CDP in either direction (listen or advertise). 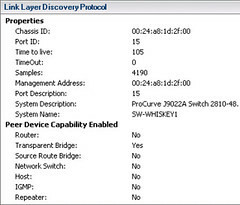 Today is the first look at a new vSphere 5 networking feature which is Link Layer Discovery Protocol – essentially CDP for every other switch vendor which supports this IEEE 802.1AB open standard. As you can see, there’s a lot of parity between the two protocols. Each provides some very helpful information from the upstream physical network perspective. Namely the identification of the switch and the port number. From what I’ve seen so far, LLDP is a completely viable alternative to CDP. Logging in to Engineering mode (I found this on the public facing/Google cached EMC Community Network forums searching for help… CTRL + SHIFT + F12 password messner) did not provide me with additional options to remove the host. The host is now gone from all host lists. Problem solved. This was an isolated incident. I wasn’t able to repeat this problem but if it happens in the future, I’m ready. All I have to do is search Google and end up at my own blog. If you’ve been following the progression of this document, you will have noticed that VMware has been adding more application layer components to it. That is because VMware has broadened its cloud platform portfolio which is fundamentally dependent on vSphere. Chris mentioned this in his lecture and I began noticing it a few years ago, vCenter now extends beyond just a tier 2 management application. It has become a tier 1 cornerstone for other VMware and partner ecosystem cloud applications and infrastructure tools. Be mindful of this during the design phase and do not neglect its resource and redundancy requirements as your scale your vCloud environment. Enjoy. And by the way, Chris has a Dell T310 Server with 20GB RAM for sale. Check it out. While working with vSphere 5 and vCloud Director, I stumbled onto a piece in the vSphere Client Help files that I haven’t seen in previous versions of vSphere (or maybe it existed and I wasn’t aware). 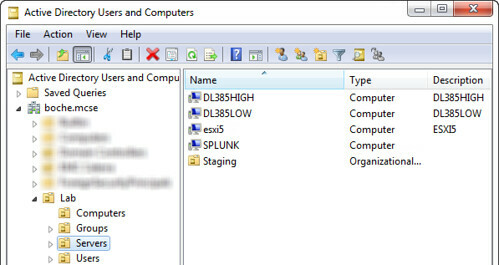 That is, the ability to add an ESXi host to a specific Organizational Unit above and beyond adding it to Active Directory. VMware ESXi Active Directory integration has gotten much easier once they partnered with Likewise. 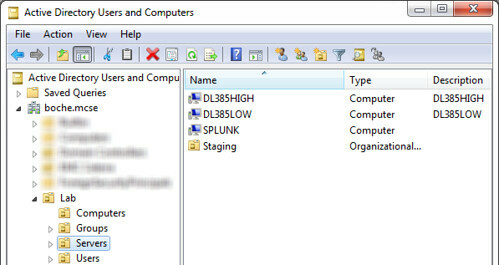 In vSphere 4 if I wanted an ESXi computer account to drop into a specific OU, I pre-created the computer account before the ESXi host to the domain. 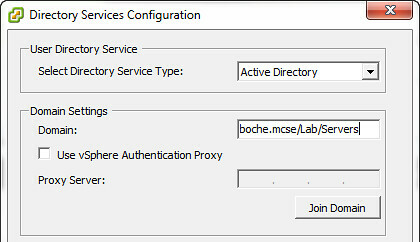 In vSphere 5, the ESXi host can be joined to the domain and placed into an explicit OU all in the same step. I came across a fun contest over at Virtual Bridges (Enterprise Desktop Management & VDI Solutions partner) which is running through the end of November. The basic goal is to disguise Pengroid, a penguin on steroids. Flex your Photoshop skills and submit your Pengroid where it will be uploaded to and judged on Facebook. The winning Pengroid will be printed on t-shirts which will be distributed to the first 25 people who submit an eligible entry. Top 3 winners will be featured on the Virtual Bridges Website, Blog, Twitter and Facebook. Most importantly, bragging rights for the year. The contest landing page and instructions can be found here and here.